If we could have chosen any weekend to spend at The Olde Bell Inn at Hurley, this one, the warmest March on record since 1968, would surely have been it! a)It’s real b)It’ll fit c)It’ll ever arrive d)How much it’ll cost me to return. The Olde Bell Inn at Hurley has confirmed what I already knew and this is that very few ‘things’ can bring as much pleasure as eating, drinking and sumptuous sleeping, all in one place with your Chosen One. The Olde Bell Inn provides all three with understated panache and a refreshing emphasis on the things that count (in my world anyway). Originally a 12th Century coaching Inn, The Olde Bell Inn has been gently and sympathetically guided into the modern world with an almost miraculous respect for its provenance. The bar is a traditional, unpretentious affair with beams, rickety bar-stools and spindly round, dark wood tables. The dining room is in keeping but with the additional touches of rug-backed benches, quirky wall-mounted plates and candles in bell-jars. The effect is warm and inviting, yet elegant and distinctive. 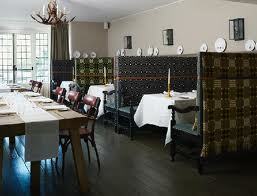 The Inn prides itself on this atmosphere, emphasising that, ‘the common spaces are the heartbeat of the place’. 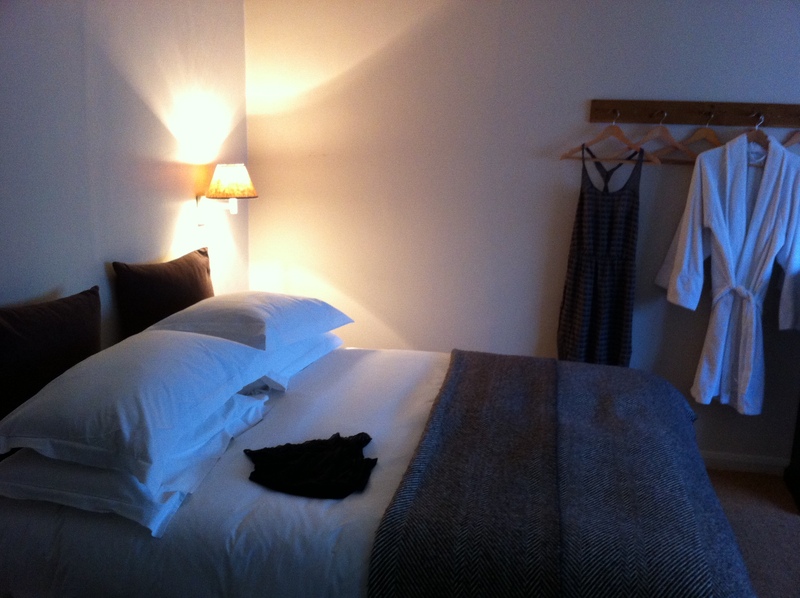 And the bedroom too reflected this, being simple in design but luxurious in the quality of the bedding, toiletries, teas and room service. Of course I’ve kept the best-till-last because, as always, my attention is only truly held by the delectables on offer. And I was a bit nervous about the absence of entry in The Good Food Guide (that I would expect from a 5 Star Inn). But there was no need to be uneasy as the food reiterated every wonderful aspect of the place. The same attention to quality, above overt luxury, permeated the menu, which was varied, interesting and adventurous.We thoroughly enjoyed a snail ravioli with wild garlic and a soy and sesame quail to start. 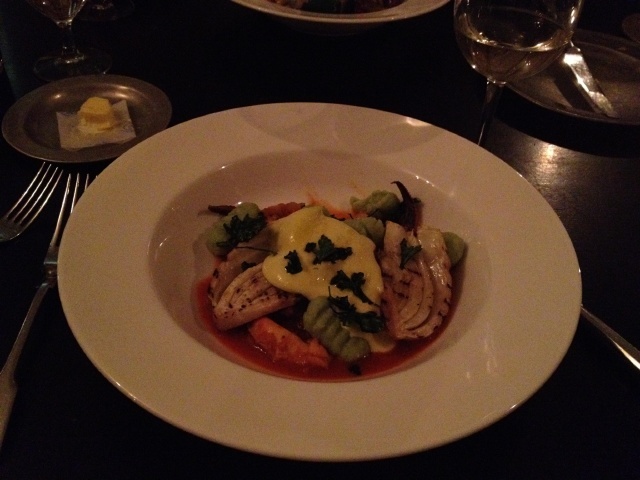 These were followed by cuttlefish and fennel stew with parsley gnocchi and a slow cooked pork belly main course. The shared desert of fudgy pecan pie and a British Cheese plate concluded the evening nicely. 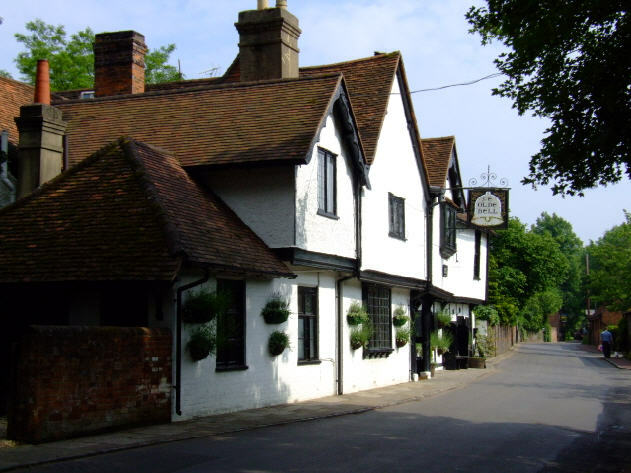 And if The Olde Bell Inn itself were not enough, an early morning walk along the banks of The Thames confirmed Hurley as one of the most picturesque villages I’ve ever visited…eye-wateringly gorgeous…with a little help from the warmest March day since 1968. This entry was posted in And along the way and tagged Dining, Hurley, Olde Bell Inn, River Thames. Bookmark the permalink.